Mummy or Mommy Brain, otherwise know as Baby Brain is REAL.. Yet there are practical, easy ways to help clear the mental fog and boost your mummy brain which are realistic to fit into the busy life of motherhood. 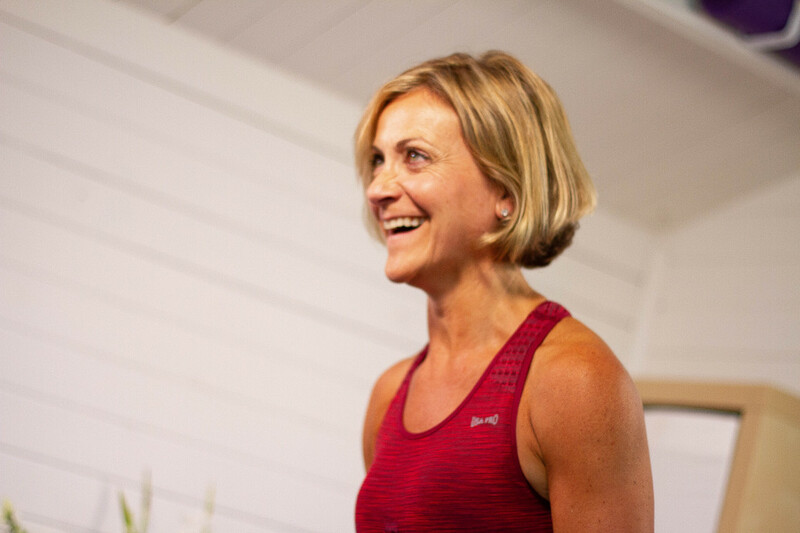 Vicky Warr, pregnancy and postnatal fitness and health expert explains..
廊Do you find you spend hours (you don't have) trying to find things you've misplaced? Like your baby's bottle or your house keys? Do you find yourself having to go back for something because you forgot it and it's essential for an outing? Your baby's changing mat, nappies or the children's packed lunch? Momnesia or Mumnesia, or 'pregnancy'or 'baby brain', as many of my clients may call it, is very common and is not a myth! In fact there is some science behind it. On average, a mother’s brain shrinks 5 percent during pregnancy, as it supports the growth of the baby's own brain, energy, eyes and nervous system. The growing foetus requires this in the form of fatty acids such as DHA which it acquires from the mother's own brain (much of the brain is fat) and her own store's of nutrients. Now, before you get concerned that your brain has got smaller, it's more of a case that the mother's own brain goes through a process of 'modification' or reforming itself for motherhood, acquiring the skills to become a mother. The main skill being vigilance and intuitively attending to needs of your baby; hunger, whether they are cold or hot or if they need sleep. This can manifest itself in a mental fog and overwhelm and as there are other factors that come into play to enhance that lack of clarity, lethargy and fuzzy brain. Your brain reprogramming for motherhood and being vigilant. The baby requiring and taking nutrients from the mother's own stores namely Omega 3 fats for it's own brain development found in the mother's brain. Stress ON and constantly ON, with lots of things are vying for your attention, and without much time to relax. So just when we need our brains to be sharp and vigilant to care for our little ones.. 朗they feel slower than ever. Keeping the wheels turning at home, running a family, working, managing the needs of everyone in your family can send us into a mental slowdown. Here are 6 ways you can realistically help boost mummy or mommy brain. One way to help strengthen the mind is to MOVE the body. When the BODY moves, the MIND grooves. The primary function of the brain is movement so anything that is good for your heart is also good for your brain. As you create blood flow with exercise, you increase oxygen to the brain to be a clearer thinker and improve your memory. Being physically active is essential for oxygen to circulate to the brain and mind and our brain connections strong. There are many ways to incorporate exercise or activity into your day without it being a 'formal' visit to a gym or exercise class, which may not be an appropriate type of exercise for you if you have recently had a baby anyway. Walking is one of the simplest, most effective exercises for new mothers and not so new mothers. Take your baby out in the buggy or walk everywhere you can with your toddler or children. Doing an activity where you cross over the centre line of your body, so bending and touching your right hand to your left toe, means you are strengthening the connections between the right and left hemispheres of your brain, and this is important for managing tricky tasks. To strengthen right and left brain connectors try swimming, stretching or yoga. Postnatal Low Impact, High Intensity Cardio 10 minute workout. There are certain foods, which are unprocessed and contain nutrients that boost your brain power and nourish your brain. Avocados is a great source of healthy, brain boosting fats. Try it mashed on oatcakes or sliced with a poached egg. Wild Salmon is another great source of healthy fats and also filling protein to sustain blood sugar levels. Water is needed by every cell in your body and is important for all body functions. It helps transport oxygen and nutrients to the brain for optimal function, at the same time lubricating our brain's tissue. Our brain is 85% water so it's crucial to replenish it! Dark Chocolate has flavanols which may benefit brain function. Many women who love chocolate are pleased to hear this! If you are a new mother, you are no doubt up at night nursing or tending to your baby's needs. So the quality of the actual sleep or rest you do get is vital to replenishing your brain. Winding down before to get restorative sleep, even if it is in short bursts is SO important. - Limit exposure to blue light from electronic devices, smartphones, computers and TV's. - Ensure your room is as dark as possible. When you need to leave a night light on, use a soft, cotton eye mask. - Take a soak in a hot bath with magnesium bath salts to induce good quality sleep for your brain. Learning something new or trying new brain activities such as word searches, puzzles, knitting, art, painting or learning a new fact. Try to learn something new to your natural talents; you're not trying to become an expert in new activity, rather creating neural connections to slow down the ageing process of the brain and boost brain power. Create a system for things you do everyday or things you use everyday. - Restock your changing bag each night with nappies so it is complete for the morning. - Recharge your phone and smart devices in one place. - Plan your meals on a weekly basis and have an allocated person and day to do your food shopping. My Mummy Tummy Transformation Program gives you meal plans and quick, easy recipes that the whole family will love too. - Keep your keys in one place that is easily accessible. - That way you are reducing stress and keeping your mind organised and uncluttered. This will help mental clarity. Who you spend time with is who you become. The joy of motherhood can often be accompanied by feelings of isolation as your lifestyle changes and meeting the demands of a child limit your social activities. According to new research by the British Red Cross and the Co-op, over 80% of mums under 30 feel lonely some of the time, while over 40% are lonely often or always. Building a supportive network will help. I came across an app called Mush, which is the #1 UK app for making local mum friends, get the latest parenting guides, tips and support. Check it out here. With the vigilance of motherhood, the sleepless nights, hormonal changes and changes that have occurred to the body, it's easy to feel overwhelmed with has quite an impact on your brain. Using meditation or mindfulness just for 5 to 10 minutes, whenever you can daily will help you clear the fog and reduce stress to see things more clearly. One particular app I like is insight timer. This is a free app with a vast variety of different meditations to suit the time you have and your needs. Take time to improve your mind and you will be improving your journey to a fit and healthily motherhood. Being healthy, focussed and sharp-minded will benefit you and your family in so many ways. I'd love to hear which of these tips you can take action on right now to commit to improving Mummy or Mommy brain. Post in the comments box below and tell me.